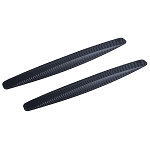 Carbon fiber is a strong and lightweight polymer containing fibers of carbon reinforcement. 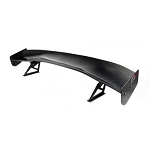 It has been used in the auto industry for a long time now for performance purposes. The material is basically an extremely strong plastic that is highly resistant to shattering and breakage. 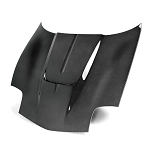 Although some carbon fiber parts can bend, they are designed to stay in one piece when subject to high impact force. Nearly every high-performance car out there uses carbon fiber polymers somewhere. 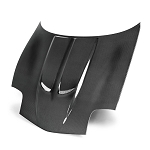 Most commonly, carbon fiber is used on the hoods and front ends to lower weight and increase speed. 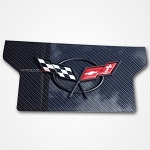 Most race cars are built out of nearly 100% carbon fiber, excluding essential metal parts. Regardless of where it is used, the material will offer an affordable alternative to heavy metals, increasing car acceleration, top speed, and agility. It also allows for production of a smaller and more aerodynamic frame. Here at Corvette Mods, we have a huge supply of Corvette C5 carbon fiber parts and accessories for the performance-oriented driver. 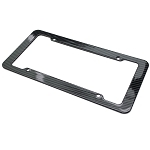 Our most popular products include: headlights and taillights, battery covers, alternator covers, fuse box covers, engine covers, side mirrors, license plates, side skirts, and many, many more! Not only will your car become lighter and quicker, carbon fiber also adds a unique look that gives it edge and style.